In fact, many SMB businesses are hopping on the BI bandwagon, especially as the prevalence of big data continues to rise. In fact, according to BetterBuys, this market is so popular that it is predicted to grow to $20 billion by 2019. Why use business intelligence tools? First off, data discovery, which used to be limited to the expertise of advanced analytics specialists, is now something everyone can do using these tools. And not only that, these tools give you the insights you need to achieve things like growth, resolve issues that are urgent, collect all your data in one place, forecast future outcomes and so much more. In this article, we will provide you with a rundown of the top 15 best Business Intelligence tools. Keep in mind: these all vary in robustness, integration capabilities, ease-of-use (from a technical perspective) and pricing. SAP Business Intelligence offers several advanced analytics solutions including real-time BI predictive analytics, machine learning, and planning & analysis. The Business Intelligence platform in particular, offers reporting & analysis, data visualisation & analytics applications, office integration and mobile analytics. SAP is a robust software intended for all roles (IT, end uses and management) and offers tons of functionalities in one platform. 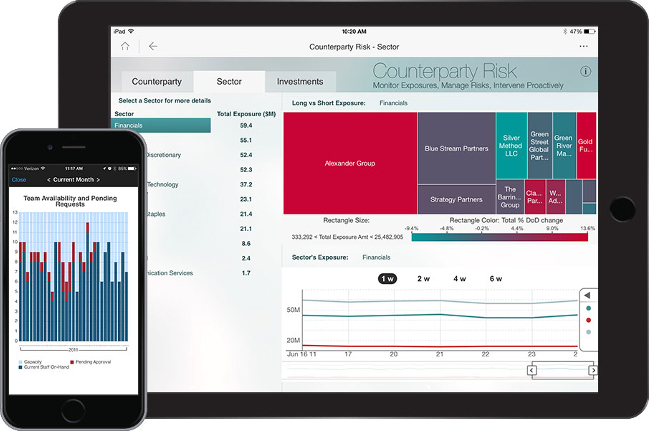 MicroStrategy is a business intelligence tool that offers powerful (and high speed) dashboarding and data analytics which help monitor trend, recognise new opportunities, improve productivity and more. Users can connect to one or various sources, whether the incoming data is from a spreadsheet, cloud-based or enterprise data software. It can be accessed from your desktop or via mobile. Not really tech-savvy? 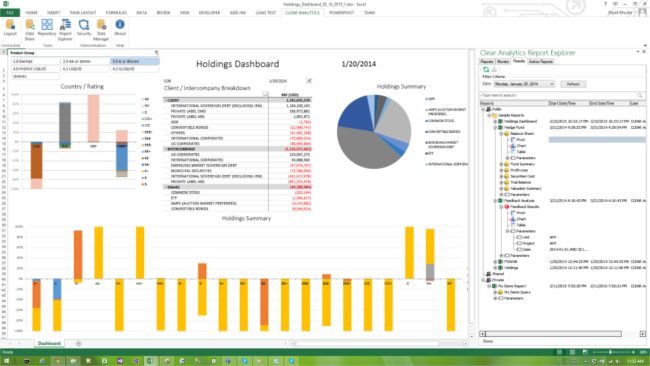 Then the Sisense business intelligence tool might be for you. This user-friendly tool allows anyone within your organisation to manage large and complex datasets as well as analyse and visualise this data without your IT department getting involved. It lets you bring together data from a wide variety of sources as well including Adwords, Google Analytics and Salesforce. Not to mention, because it uses in-chip technology, data is processed quite quickly compared to other tools. While SAS’ most popular offering is its advanced predictive analytics, it also provides a great business intelligence platform. It is self-service tool that allows to leverage data and metrics to make informed decisions about their business. Using their set of APIs, you are provided with lots of customisation options, and SAS ensures high-level data integration and advanced analytics & reporting. 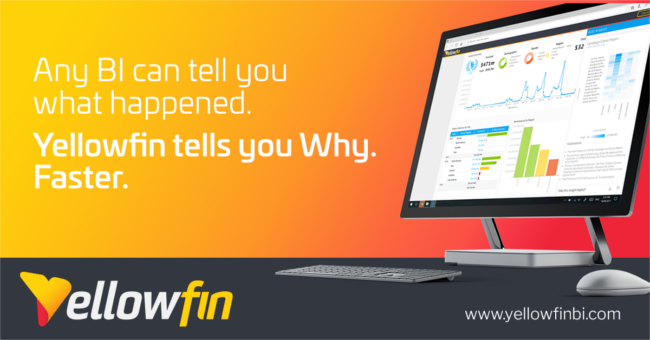 Yellowfin BI is a business intelligence tool and ‘end-to-end’ analytics platform that combines visualisation, machine learning, and collaboration. You can also easily filter through tons of data with intuitive filtering (e.g. checkboxes and radio buttons) as well open up dashboards just about anywhere (thanks to this tool’s flexibility in accessibility (mobile, webpage, etc.). 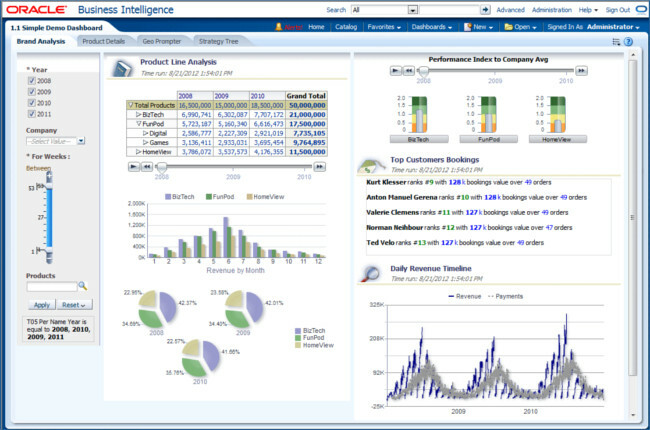 Dundas BI is a flexible, browser-based business intelligence tool that lets users connect to many data sources in real-time. It offers great visualisations in charts, tables and graphs that are customisable and can be viewed from both desktops and mobile devices. Users can also build their own reports and drill-down and certain performance metrics for analysis. Dundas provides support to companies of all different sizes and across various industries. 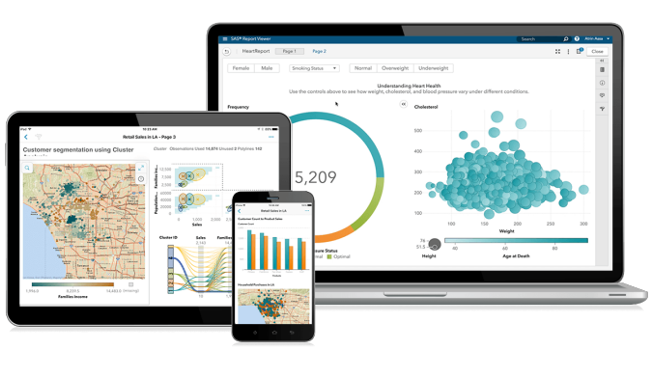 TIBCO Spotfire is a self-service business intelligence tool that offers executive dashboards, data visualisation, analytics and KPI push to mobile devices. This tool is great for collaborating with your digital team as users can define their own KPIs and send alerts to both iPhones and Androids. 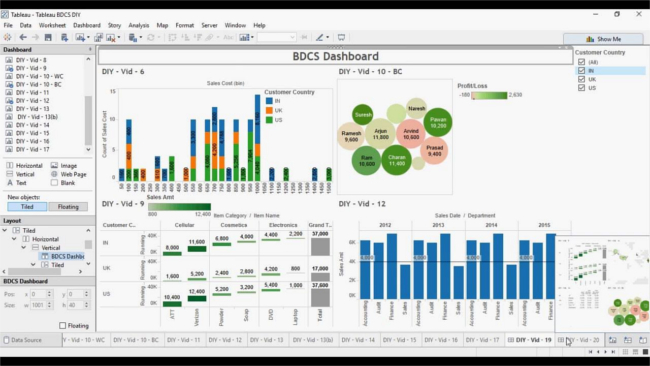 TIBCO Spotfire can be integrated with many CRMs, ERPs, and of course Excel and Access. Systum is a Business Intelligence tool that helps organisations streamline and consolidate processes across multiple B2B and B2C channels so that they can boost productivity as well as efficiency. It includes a number of sales features, built-in CRM, Inventory Management, a B2B portal and more. Systum also offers a wide range of integration options with – among others – Amazon, eBay, and Quickbooks. 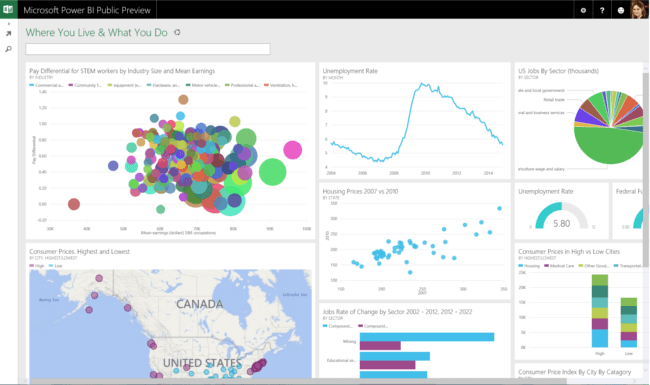 Microsoft Power BI is a web-based business analytics tool suite which excels in data visualisation. It allows users to identify trends in real-time and has brand new connectors that allow you to up your game in campaigns. 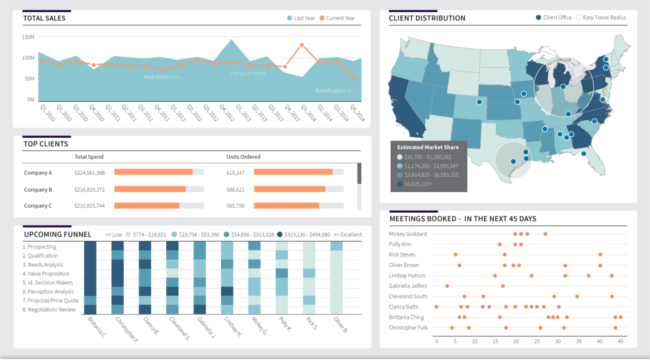 Because it’s web-based, Microsoft Power BI can be accessed from pretty much anywhere. 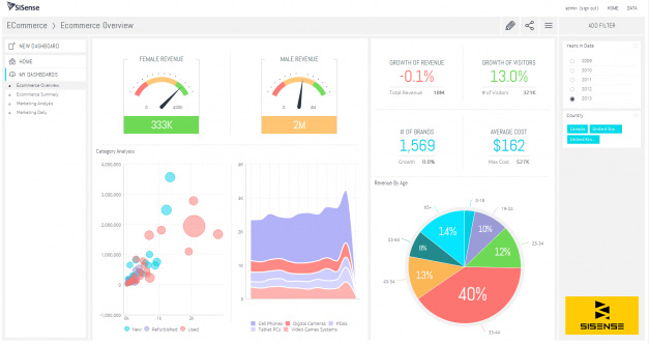 This software also allows users to integrate their apps and deliver reports and real-time dashboards. Data discovery app, Looker is another BI tool to look out for! This platform integrates with any SQL database or warehouse and is great for startups, midsize-businesses or enterprise-grade businesses. Some benefits of this particular tool include ease-of-use, handy visualisations, powerful collaboration features (data and reports can be shared via email or USL as well as integrated with other applications), and reliable support (tech team). Where are all my Excel fans out there? This BI tool is an intuitive Excel-based software that can be used by employees with even the most basic knowledge of Excel. What you get is a self-service Business Intelligence system that offers several BI features such as creating, automating, analysing and visualisation your company’s data. 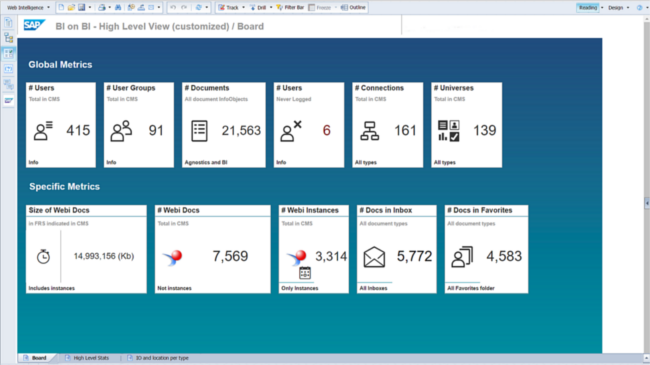 Oracle BI is an enterprise portfolio of technology and applications for business intelligence. 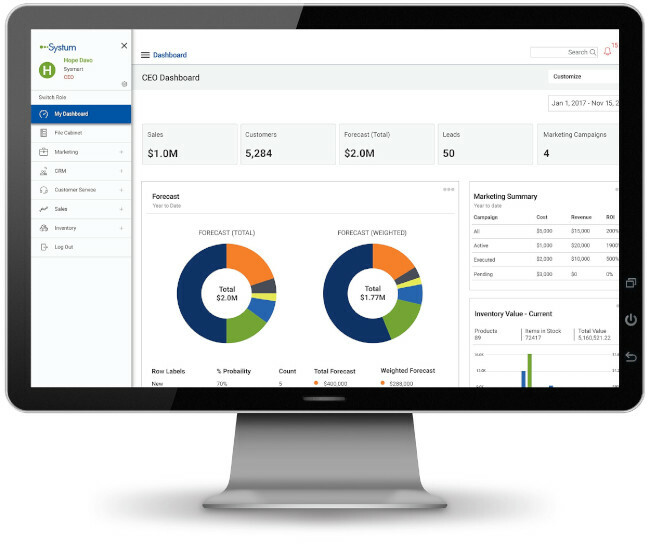 This technology gives users pretty much all BI capabilities, such as dashboards, proactive intelligence, alerts, ad hoc, and more. Oracle is also great for companies who need to analyse large data volumes (from Oracle and non-Oracle sources) as it is a very robust solution. Domo is a completely cloud-based business intelligence platform that integrates multiple data sources, including spreadsheets, databases and social media. Domo is used by both small companies and large multinationals. The platform offers micro and macro level visibility and analyses. From cash balances and listings of your best selling products by region to calculations of the marketing return on investment (ROI) for each channel. The only let down about Domo is that it is difficult to download analyses from the cloud for personal use. 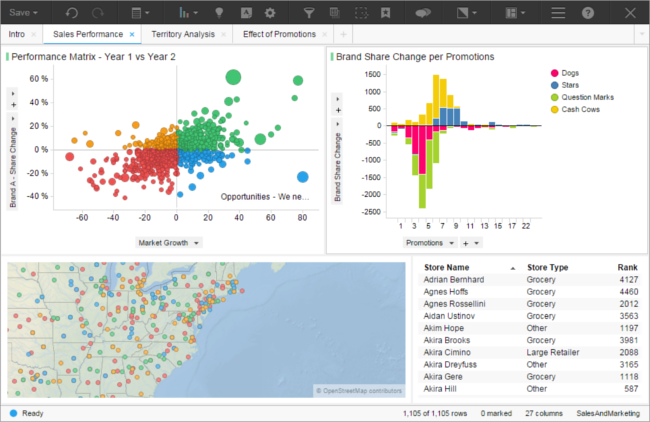 QlikView is a Business Intelligence data discovery platform that offers unique data discovery and global search. It provides users with customer connectors so that they can import data when they need it from sources such as Salesforce, Teradata and Hive. It also gives users complete control over their data, a secure working environment, flexibility (gives you the tools you need to build your workspace and process data your way), and consistent reporting which can be sent to Microsoft Office docs. Collating data from different sources is great, but is there something missing? Business Intelligence Tools are, as you can see, very versatile and provide you with a lot of useful information regarding your business’ performance and where it’s headed. However, while great for collating data from various sources and helping you make sense of it, it does little in terms of collecting data directly from your customers. The voice of the customer is a critical factor in not only boosting your profits (as we mentioned before), but also creating a sense of loyalty among your customers and appreciation for your efforts to provide them with a meaningful online experience. That, my friends is the true source of success.